Wired.com Netflix series “The Chilling Adventures of Sabrina,” an adaptation of the “Sabrina the Teenage Witch” series, was released worldwide on Oct. 26. Although Netflix’s new “Chilling Adventures of Sabrina” takes on a much darker tone than the original 1990s sitcom, “Sabrina the Teenage Witch,” the series features an impressive young cast and offers a fresh perspective on everyone’s favorite half-witch. For those unfamiliar with the series, the revamped Sabrina exists in the same universe as the CW television series, “Riverdale,” and the two shows share a creator, Roberto Aguirre-Sacasa. “Riverdale,” although a fan-favorite series, features a lot of teenage soap opera-esque dramatics, and when I pressed play on the new Sabrina series, I was nervous there would be much of the same, but for the most part, I was, thankfully, wrong. 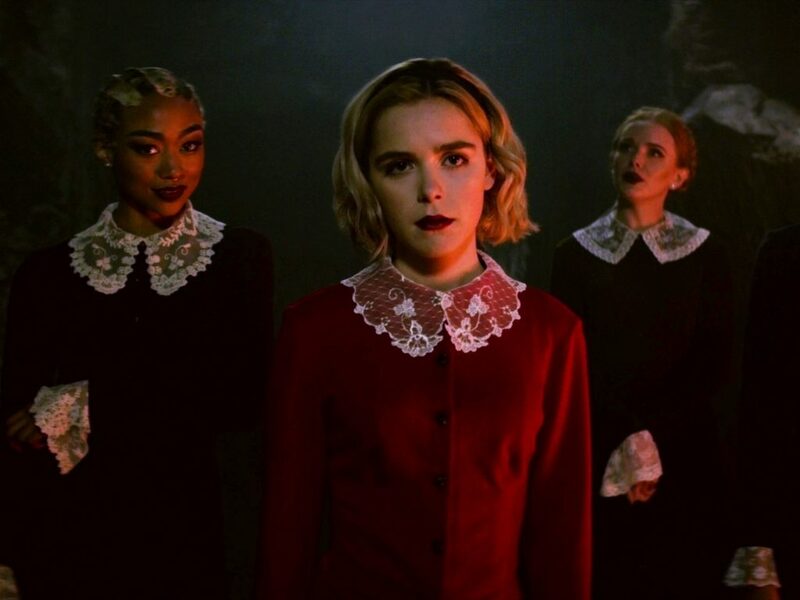 The first episode draws viewers in immediately with strong acting from the entire cast, but most notably from star Kiernan Shipka, who embodied the role of Sabrina perhaps better than I could have imagined. As a fan of “Mad Men,” where Shipka grew to fame playing Don Draper’s daughter, Sally Draper, I knew that Shipka had acting chops. She was also Aguirre-Sacasa’s first choice for the role. Her acting ability, paired with her palpable on-screen chemistry with the rest of the cast — especially her on-screen love interest, portrayed by Ross Lynch — made the series’ first few episodes not only watchable, but overwhelmingly enjoyable. Lynch, best known for his role on Disney Channel’s “Austin and Ally,” had at first seemed like a risky choice for character Harvey Kinkle. But his portrayal of Harvey was surprisingly removed from his Disney roots. Viewers saw raw emotion and a mostly realistic take on the trials and tribulations of dating a half-witch. As the series progressed, Shipka’s role as the driver of the series became much more evident as the plotlines began to veer off course. While the first episodes packed on the drama, there were some later episodes that felt like fillers. Without proper buildup, this made the final two episodes feel more like a stand-alone film than the culmination of a season’s worth of drama. However, “The Chilling Adventures of Sabrina” makes good on its promise of a dark and twisted tale. Being that I am inherently scared of anything labeled as horror, I would not deem “Chilling Adventures” as truly scary, but it was extremely gruesome (the witches are not afraid to kill one another and are known cannibals) and featured a few classic pop-out scares that grabbed the viewers’ attention. Overall, I would rate the series at a 7/10. Problems include the length of episodes, which topped off at a full hour, and the soap opera-esque plots that populated some of the later episodes, when Sabrina began attending the witch academy and viewers were introduced to an alternative love interest and a classic troop of mean girls. Although not to the unrealistic caliber of “Riverdale,” if viewers watched closely, Sabrina and her friends at the witch academy found themselves in quite a few scenarios that felt catered to a teenage audience. Seasons one and two were shot back-to-back on location in Canada, so Netflix will likely be posting the second installment of Sabrina’s adventures in the foreseeable future. I’ll be tuning in to watch, but if the plot features much of what was seen in the middle episodes of this season, I cannot promise I’ll stay on board for a third installment.